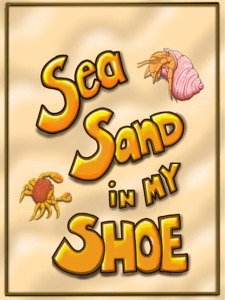 SEA SAND IN MY SHOE: A child’s two-day beach trip in verse–each poem an adventure, each an experience to be remembered. Sometimes funny, sometimes serious, sometimes fantasy, sometimes reality, this is a book that should appeal to all ages. Click the pic to read the excerpt and take a mini-trip to the beach. (See examples of the accompanying illustrations in the Gallery Section.) All poems copyrighted Terofil A. Gizelbach, 2012.